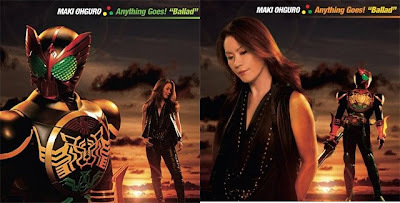 Harits Tokusatsu | Blog Tokusatsu Indonesia: Anything Goes Ballad MV Revealed! Anything Goes Ballad MV Revealed! Ini dia MV dari Anything Goes Ballad! Gokaiger vs Gavan: Makuu Space Opens! 'Shooting Star' by everset Preview! Gobuster Appear in Gokaiger vs Gavan! Astronauts - Gian Step PV Preview! Kamen Rider Meteor Newest Info! Fourze Magnet States Revealed & More Switch! Samurai Strong Style Full Preview! All Red, Pink & White In Gokaiger vs Gavan! Gokaiger vs Gavan New Images! Gokaiger vs Gavan Theme Song "JUMP!" Super Hero Taisen Coming Soon!